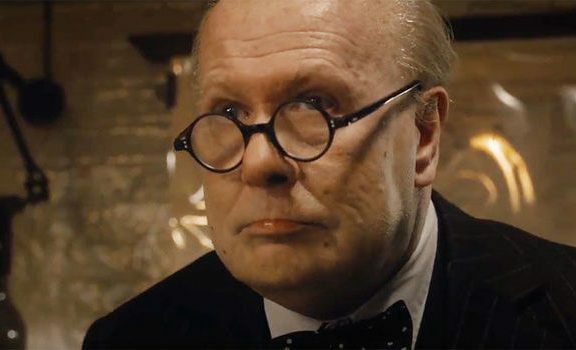 Although it’s only 103 minutes in running time, it’s true the film feels long and stretched, as movies of this genre – centered around a single character – usually do. Nail-biting moments, unfortunately, are too few. Yet despite its occasional shortcomings, Trapped is a wholly involving drama that you become quickly invested in. The bulk of the credit for that goes to the film’s incredible leading man who delivers his finest work here. Trapped is the ultimate urban nightmare. A man gets locked into an empty apartment in an empty Mumbai high-rise. He has no food, water or electricity. He does have a rat for company. There’s also a cockroach which ends up…you don’t want to know. With one actor, one location and a miniscule budget, director Vikramaditya Motwane creates a layered survival story. Beyond the immediate horror, Trapped is also a piercing portrait of a beautiful but brutal Mumbai, where towering buildings loom like concrete carcasses. The trouble with Trapped, in which Rao is practically a solo act, is that it is uneven. There are not enough genuinely scary heart-in-mouth moments. Shaurya’s despair stays mostly on the surface: we see his jeans getting loose, his ribs starting to show, the grime collecting on his body, but I wanted to see more of the soul. Rao is more than capable of stripping down to the essentials, and showing us the truth, which is why he is such a powerful actor. Here I couldn’t see enough of his insides. That unrehearsed feel, I suspect, was what Motwane was going for. He’s a filmmaker who made a small, much loved gem in Udaan, and then a giant period drama called Lootera which I adored, but which ended up being watched by too few. Perhaps this, then, is the story of a director – trapped by big-budget pressures – who needed a small win. This one is a breakout. Trapped isn’t an easy film to watch. It certainly isn’t for the squeamish. 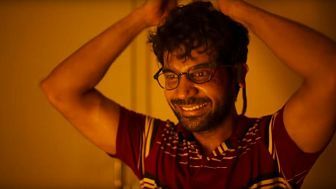 But if rats and roaches do not sicken you and claustrophobia and acrophobia are only vague terms in your lexicon, do watch Trapped for its artistic audacity, if nothing else. However, given the nature of the story, ‘Trapped’ does test your patience after a while. You also doubt the protagonist’s intelligence and sanity. Why would you rent a flat from a dubious agent, in an empty building? A few occurrences seem implausible. How come even fire doesn’t draw any attention? Nonetheless, the mounting tension makes you overlook these flaws and a bloated run time. ‘SH** happens’! Motwane and Rao form a lethal team that keep us hooked for 102 minutes, quite easily. Trapped is unique because it’s unlike any other one-room drama. It remains a personal story, more like a leaf out of Shaurya’s life than a cinematic celebration of a survivor. Trapped is a defining film for Motwane who has become braver in using small spaces and silence. It’s the beginning of a style that we must see in his next films. No interval release is going to make you understand Trapped better. That ‘Trapped’ manages to grippingly hold your attention with such an underwhelming setting is an achievement in itself. That it could invade your senses makes it worth every minute, without any break, in the theatre. Director Vikramaditya Motwane deserves credit, not just for delivering on the construct, but for opening doors to filmmakers who will now dare to pitch a concept without worrying about the traditional yardsticks that govern the commerce of cinema. This one is not for the faint hearted, especially if you have a disproportionate fear of rodents. But for the rest, being confined to this celluloid seclusion makes for a thrilling affair. Vikramaditya Motwane’s story has no timeline and in certain cases, the story fumbles with its cinematic liberties.This gripping story has no space for a popcorn refill. Get trapped in this one! (The film will be screened without intervals) Trapped is no regular movie and hence not everyone will enjoy it. Those having a penchant for survival dramas will find it intriguing enough.